Just don't let it drink too much of that wine as it works. According to factor-tech.com, a robot set to launch in 2017 is capable of creating 2,000 different dishes by "hand." Using humanoid hand-like controls to cut, stir, mix, pour, and measure ingredients, this cyborg chef will be as accessible as ordering food on your phone. Actually, that's exactly what will happen: an attendant app will offer users a menu, and once punched in, the chow-bot sets to work. It's like a reverse-Terminator that keeps you alive with delicious meals. 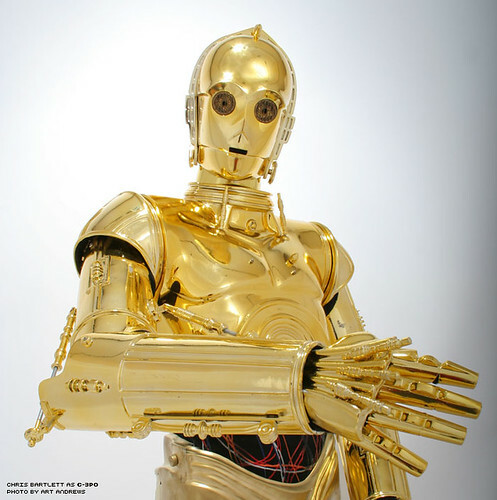 The hands are so dexterous, you'll have to be careful they don't start slap-fights with your other robots. 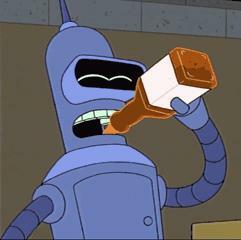 'Bots and shots. What a future! 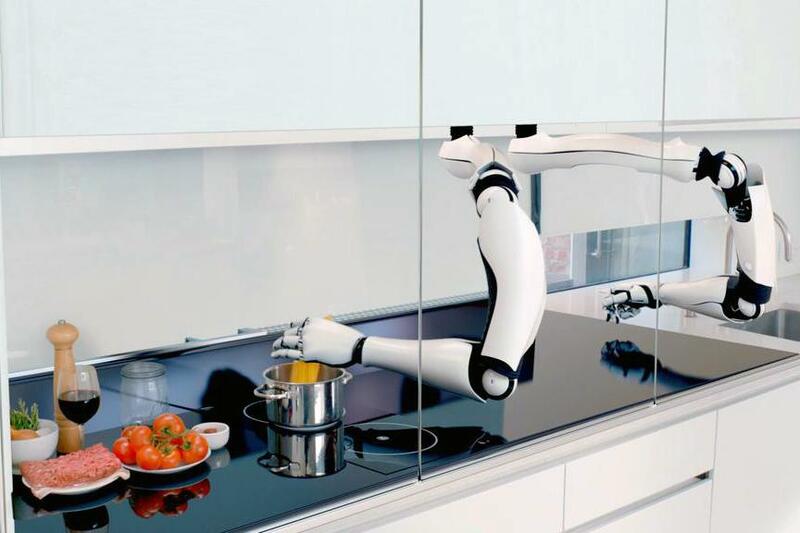 Mark Oleynik, the founder of Moley Robotics, is excited about the creativity and connectivity elements of the Automated Kitchen as much as the labor-saving pluses. “Whether you love food and want to explore different cuisines, or fancy saving a favorite family recipe for everyone to enjoy for years to come, the Automated Kitchen can do this,” he said. 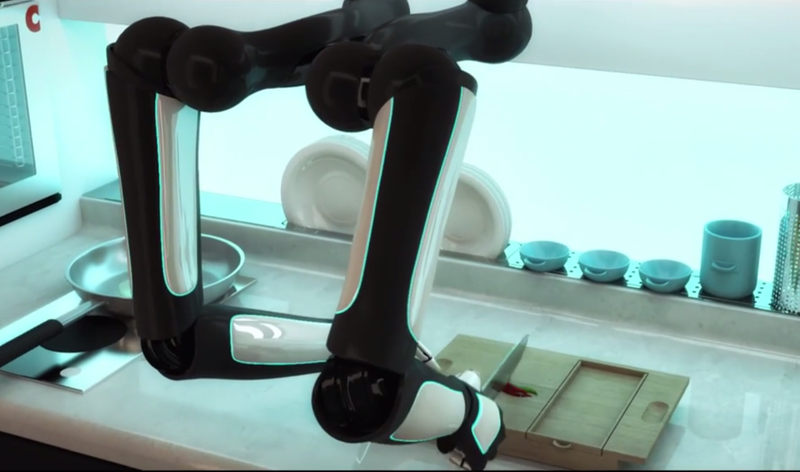 Check out Moley's website to watch your personal robo-chef whip up some of Grandma's spaghetti. Let's just hope they also taught it how to do the dishes. And they didn't give it legs, so it can't chase you with that chef's knife if you insult its culinary creations.